**NEW** Pootle enamel badge. The Flumps, Retro, Kids, Childrens TV. Grateful Dead Lake Superior Agate Pirate TOK Hat Pin and Company FREE AGATE! You are bidding on a NYCC 2018 Doctor Who Tardis Roger Hargreaves Book Pin BBC. This is for the pin with card only. No book. 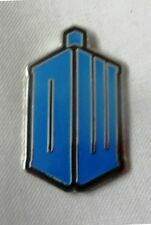 **BRAND NEW** Dr Who enamel pin badge. K9, Daleks, Tardis, Doctor. Loot Crate Pin Badge - Bob's Burgers - Lootpin (July 2017). Bob’s Burgers Kuchi Kopi glow in the dark pin! Only 200 made! The paper backing is a little warped from storage and the plastic has partially come undone, but the pin is new and in excellent condition. I’ve tried and haven’t been able to see the pin glow in the dark, so I don’t know if that feature still works. Sold as is. Please see pictures and ask questions before bidding. Sold as is. I will ship internationally, but only using eBays global shipping program. 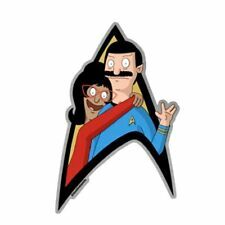 I’m selling most of my Bob’s Burgers pin collection, so check out my other auctions. I will combine shipping if you win multiple auctions. Lootcrate / ZBox Item. I am a reasonable person and as long as the communication channels are open and clear, I have no problems accommodating special circumstances. As Per Title. Now you can take your Cuphead pride with you wherever you go with these limited edition collector pin sets! Or just give it to the Cuphead fan in your life to show your appreciation for them. PERFECT FOR ANY CUPHEAD FAN: Makes a great gift for any Cuphead and Mugman fan in your life. 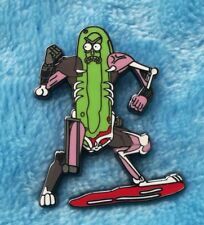 This SDCC Comic Con Exclusive pin was only available at the show. This Family Guy Pin is very limited and on the card, only 150 produced. Pudding – representing possibly the best scene in Supernatural, ever. 'STINGRAY SUBMARINE'. MADE CIRCA 1993/94. AS WE HAVE A FEW OF THESE, the ITEM displayed MAY NOT BE THE EXACT ONE YOU RECEIVE. N.B ALL IMAGES (EXCEPT THAT OF THE PRODUCT ARE FOR REFERENCE ONLY). Limited Edition100. New and never worn. Ideal for the collection or as a finishing touch to a fancy dress outfit. This is a Preorder only ETA is set for Late June/ Early July 2019. Subject to change. If you don't want to wait this long, then don't order. I can't get it any earlier. **NEW** Mr Benn enamel badge. Indie, Retro, Kids, Childrens TV. Buy it now for just £3.99. 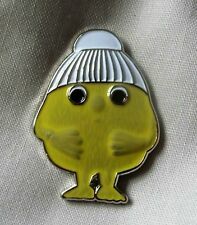 **NEW** The Raggy Dolls enamel badge. Indie, Retro, Kids, Childrens TV. Buy it now for £4.49 with free UK P P.
Up for sale is a brand new in box Thanos Infinity Gauntlet Pin from Toynk Toys at San Diego Comic Con. This pin is from Marvel Avengers Infinity War movie and has a limited edition of 1000! Item will ship first class within three business days. Please message me any questions you may have. I will always do my best to combine shipping on multiple items won. I will be adding more WonderCon, Disneyland Pixar Fest, D23 Expo & SDCC 2018 exclusive items soon. I have 100% positive feedback on eBay and plan to keep it that way!!! Skottie Young Marvel SPIDER-MAN Pin. SDCC 2016 Exclusive. Dr. Who Tardis inspired pin badge with a blue breathing LED. On/off switch to turn off led when your not time traveling. Requires a cr2032 battery. Attaches using a stud and butterfly clasp. The Seal of Rassilon. 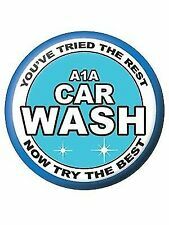 25mm (1") badges, professionally printed and manufactured for the best quality. 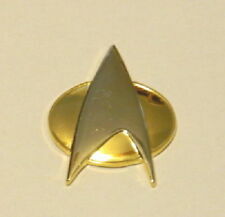 Fantastic little badge can be worn as a lapel pin or even a tie pin. Mit Folie zum aufbügeln. "Nerd Herd" Logo. Chuck TV Serie. Fully embroidered 3.5" X 1" logo patch from the movie. WonderCon 2019 Game Of Thrones x Urban Decay Promo pin set. Brand new in package! Includes 4 metal pins. SHIPPING INFO: I ship within 1 business day of cleared payment. Yes, I combine shipments. PAYMENT: Payment is due within 3 days of auction end. REFUNDS: All sales are final. No refunds. Happy to answer any questions. Thank you and happy bidding! This listing is for a set of 2 Stranger Things/ Eleven pin badges OR magnets featuring my own artwork. Each badges/ magnet measures 38mm (1.5 inch). 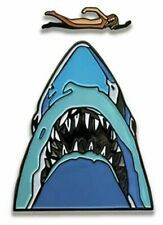 Please specify whether you want magnets or pin badges when you checkout. 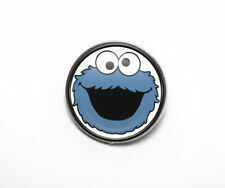 All pins and magnets are handmade by me using high quality components and a professional badge maker. Any questions, please ask! Thank you! Gina DeMott Capwell Timmons Lockridge (Robin Mattson). C.C. Capwell (Jed Allen). Sophia Capwell Armonti/Dominic (Judith McConnell). Mason Capwell (Lane Davies). Eden Capwell Cranston Castillo (Marcy Walker). THE BIG BANG THEORY Set of Pin Badges x 4. A definite must have for any THE BIG BANG THEORY fan. Not suitable for children under 3 years of age. 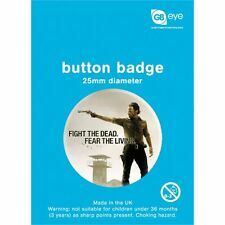 This is a genuine product made specially to celebrate the TV series /. Great set of badges based on Friends the TV series. Well known slogans and phrases - great gift for a fan. Free postage. The Hobbit Set of Pin Badges x 4. 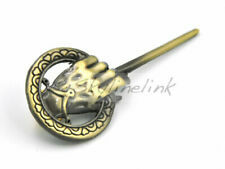 A definite must have for any The Hobbit fan. Not suitable for children under 3 years of age. This is a genuine product made specially to celebrate the TV series. This is set of four 1.25" wide round buttons that features photo images from the hit TV series Riverdale, loosely based on Archie Comics. Funko Pop's & Vinyl. Wrestling Shirts. Product Details. Clearance and Great Deals! TV Show Shirts and More. Music Shirts. Movie Shirts and More. Junk Food Clothing.